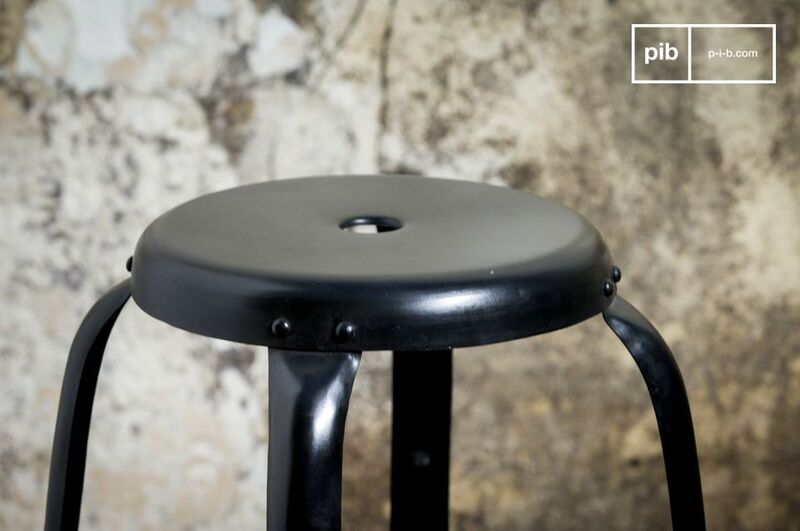 With its numerous visible rivets and its matte colour, this black pub stool displays a highly industrial style. 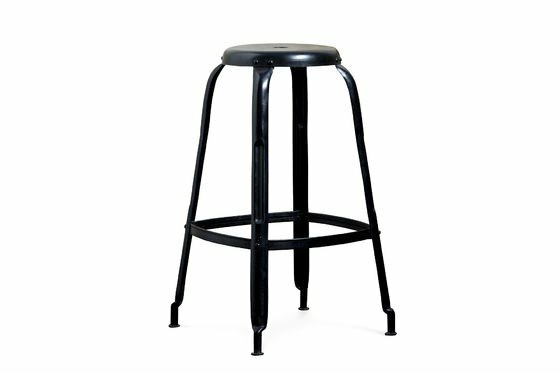 Useful, its central handle makes it easier to move and its shape will allow you to stack many vintage bar stools to save space. 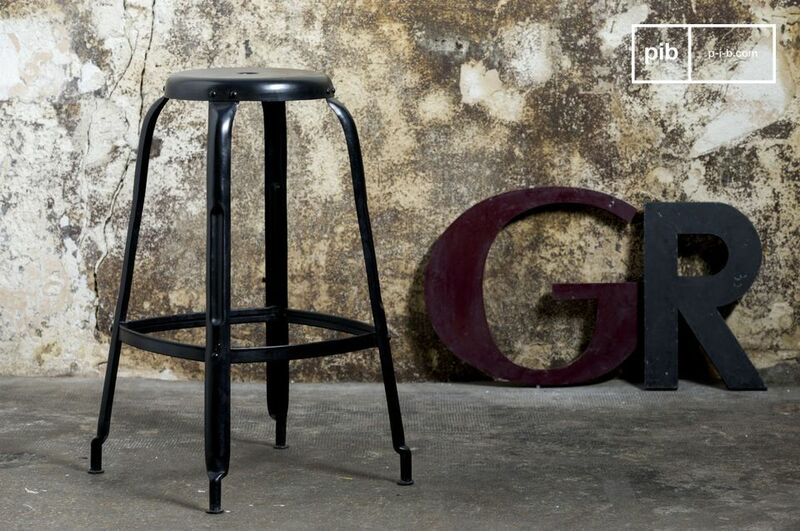 The comfort of this stool is guaranteed by its rounded edges' seat, and a horizontal footrest. 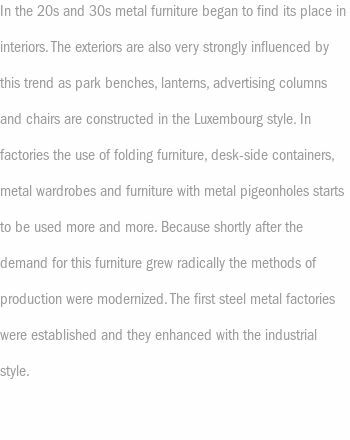 These metal stools are available in white, yellow, red, designed with brushed metal. A shorter model is also available (45 cm).